The Boys Are Back Again! It happened again, my lovely wife gave me another hall pass to head out for the weekend and have some fun with the boys. Normally it's not a big deal but when you have a pregnant wife, getting a hall pass to get away while she handles thisg back home, is a nice treat! Speaking of treat, we were treated with nice weather, good hatches and lot's of fun. Luckily I was able to fish on Fri and Sat so crowds weren't too bad on a weekday. Everyone got into a few fish and I even managed to catch some decent browns mixed in with soem colorful bows this trip. 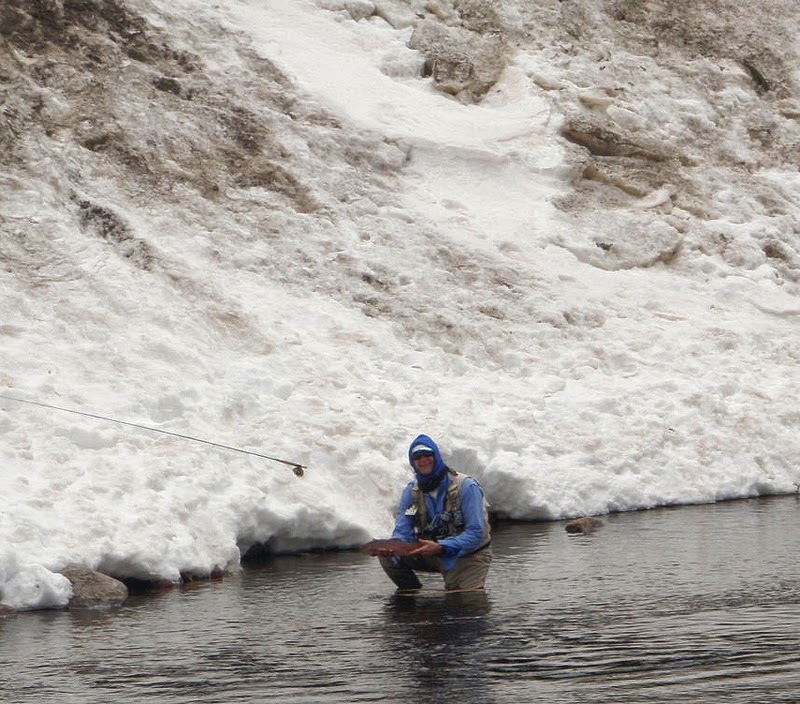 Rob managed some nice fish as well and despite the snowbanks (due to our 140% snowpack) he was able to scurry down to land this one. 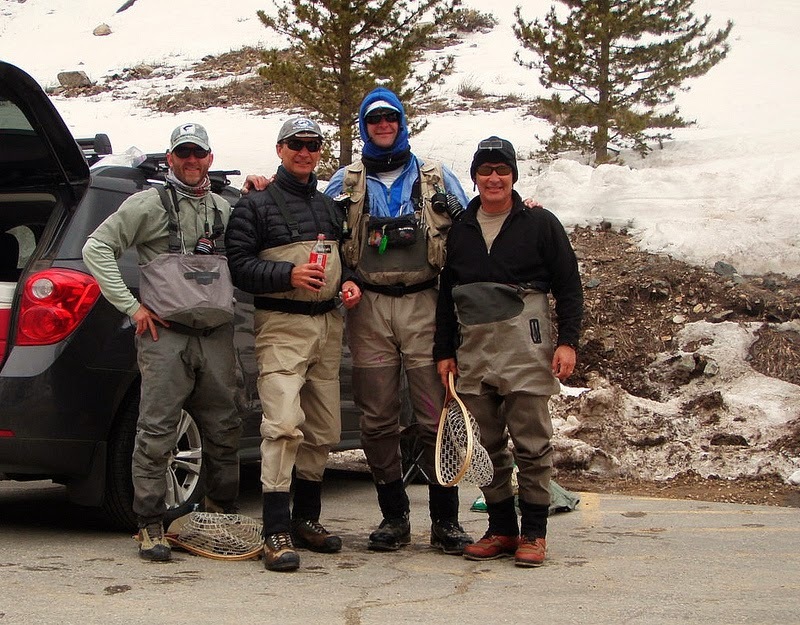 Great trip with a bunch of good guys and can't wait to do it again when we hit the Lakes near Wyoming come June.